Is God Your Steering Wheel, or Your Spare Tire? 29 Jan	This entry was published on January 29, 2013 at 9:52 am. It’s filed under Music Video, Video and tagged Battle of Jericho, Butch Warren, Charlie Christian, Django Reinhardt, Grant Green, Herbie Hancock, Pat Metheny, Wes Montgomery. Bookmark the permalink. Follow any comments here with the RSS feed for this post. Nice music. 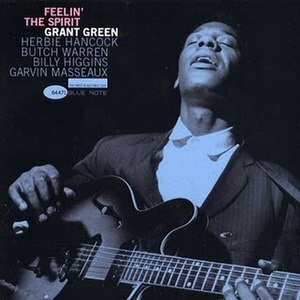 I hadn’t heard of Grant Green before. Thanks for linking to my posts.